with fraternities and sororities in America. 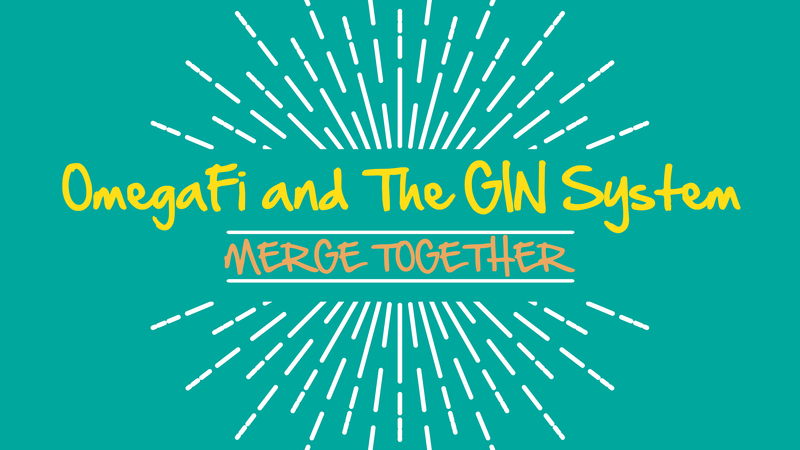 COLUMBUS, GA: Group Interactive Network, known by its customers and users as "the GIN System" has merged with OmegaFi, the largest provider of technology and financial solutions to fraternal organizations. The widely popular GIN system and GIN mobile app will add to the rich communication tools and resources already offered by OmegaFi. As a result of the merger, OmegaFi now works with several hundered thousand undergraduate students and has signficiantly expanded the number of parternships it has with inter/national headquarters. Key GIN staff members have joined the team at OmegaFi that now boasts 113 employees. GIN Founder Ethan Fieldman will serve as a consultant focusing on product development, client-relations, innovation and directing the industry-leading Greek Technology Summit. "For years, I have been advocating for stronger integration across the many disparate platforms used by sorority and fraternity headquarters," explained Fieldman. "OmegaFi has an impressive history of constantly innovating and inventing new technology, and their vision for the future of Greek technology aligns with my own. I am convinced working together and combining forces will produce great results for partners and the industry I have loved working in for the last 13 years." "Merging with OmegaFi doesn’t mean I’m going anywhere," continued Fieldman. "It does, however, allow me to focus less on the day-to-day tasks of running a company and devote more time to the product, data integration and overall client satisfaction . . . as well as have a little more time with my 10-month old son." In the coming months, OmegaFi will more tightly integrate the GIN System with its chapter and house corporation financial management tools (Vault) and inter/national headquarters and foundation database (Compass). Students and advisors will soon see the GIN desktop and mobile apps "powered by OmegaFi." "I am honored that Ethan and the rest of the GIN team put their confidence in OmegaFi," commented OmegaFi CEO, Fred Maglione. “I am also excited about the opportunities we have to expand the GIN product offering, introduce it to fraternities and significantly improve the experience for GIN and OmegaFi customers as they put technology to work for their organization. It's no secret, students and advisors that work with both companies have faced challenges trying to integrate GIN and OmegaFi mobile apps, as well as the GIN and OmegaFi websites on their own. Now that we are all one team, we can focus on delivering a first-class user experience that builds upon the best features of both systems." OmegaFi is a fraternal organization’s partner for long-term success. Their powerful management tools enable chapters, alumni associations, house corporations, foundations and inter/national headquarters to more effectively bill and collect dues and rent, manage rosters and records, pay bills and employees, file tax returns and much more. Founded in 2004, Group Interactive Networks (GIN) creates innovative collegiate/alumni websites and integrated members-only GINsystems, and provides the glue that connects all of an organization’s present and future technology tools. Clients include: Alpha Chi Omega, Alpha Delta Pi, Alpha Gamma Delta, Alpha Omicron Pi, Alpha Phi, Alpha Sigma Tau, Alpha Xi Delta, Delta Gamma, Delta Delta Delta, Delta Sigma Pi, Golden Key International Honour Society, Kappa Alpha Theta, Kappa Beta Gamma, Kappa Delta, Kappa Kappa Gamma, Phi Delta Theta, Phi Kappa Tau, Phi Mu, Phi Mu Alpha Sinfonia, Sigma Kappa, Sigma Sigma Sigma and Zeta Tau Alpha. Visit www.GINsystem.com for more information.